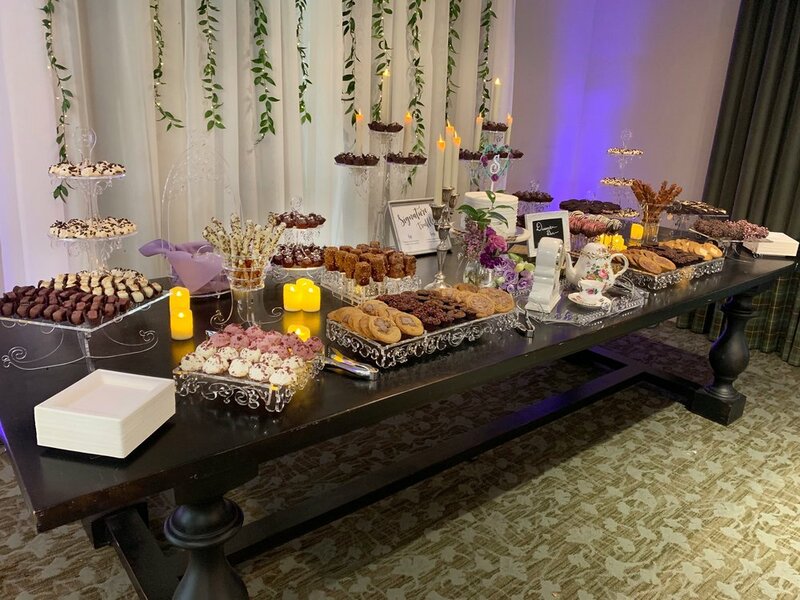 Elevate your events with an elegant dessert bar. 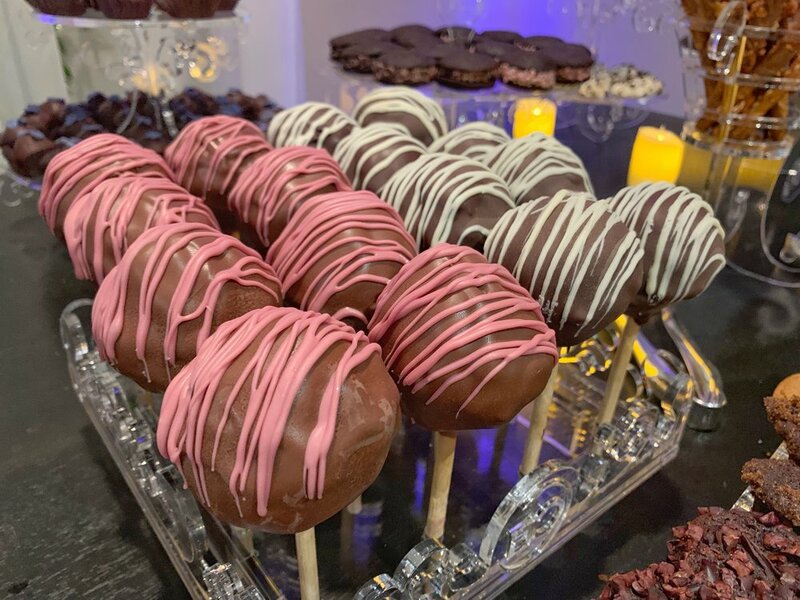 Savor & share a dazzling collection of custom confections, impressive pastries, molten drinking chocolate, & more. 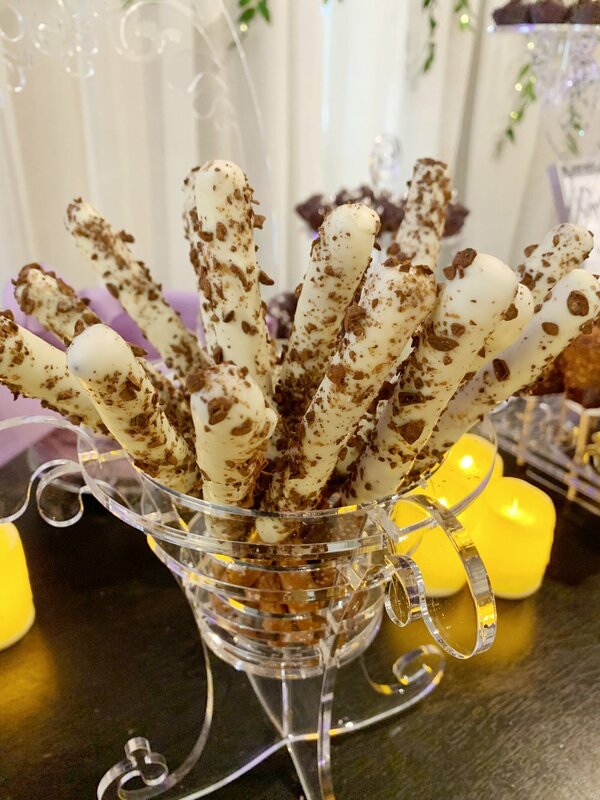 Present your selections on personalized trays & towers. 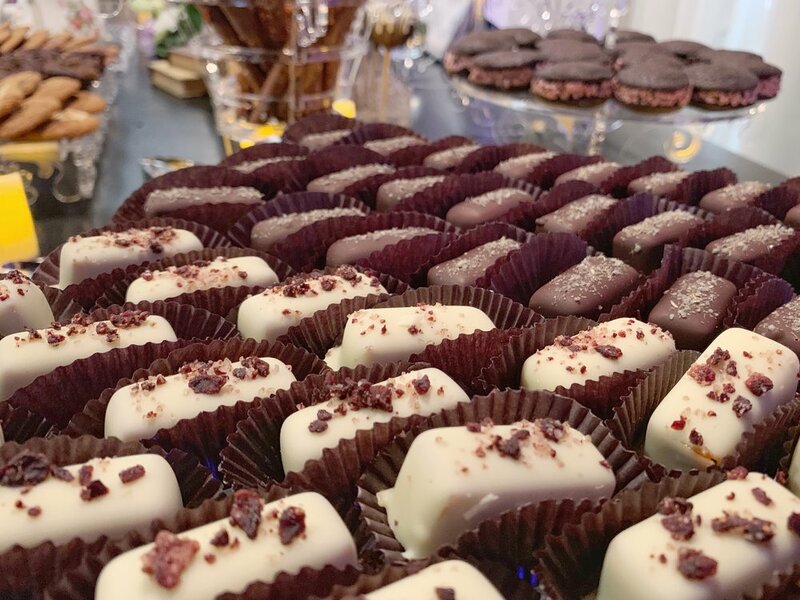 Order your unique dessert collection here! 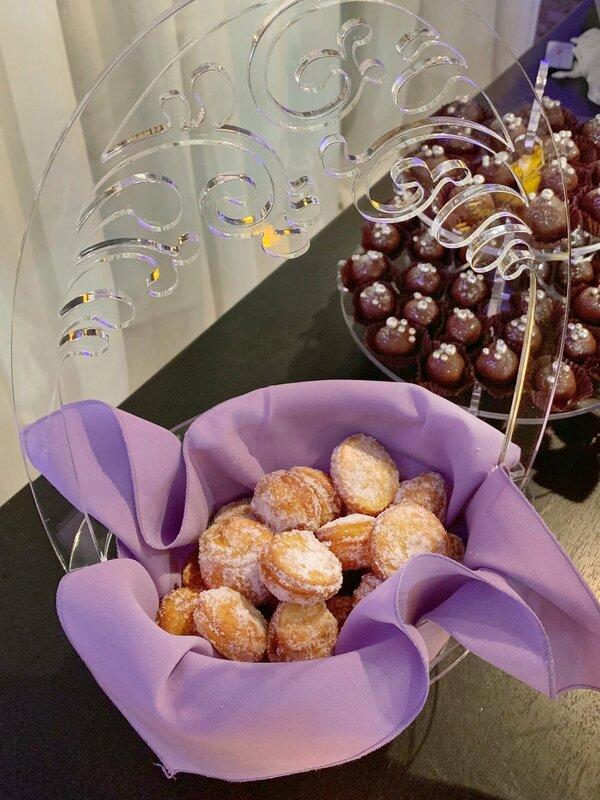 Dancing the night away under glittering chandeliers, Chris & Des wanted everyone to hit the dance floor with sugar in their steps. 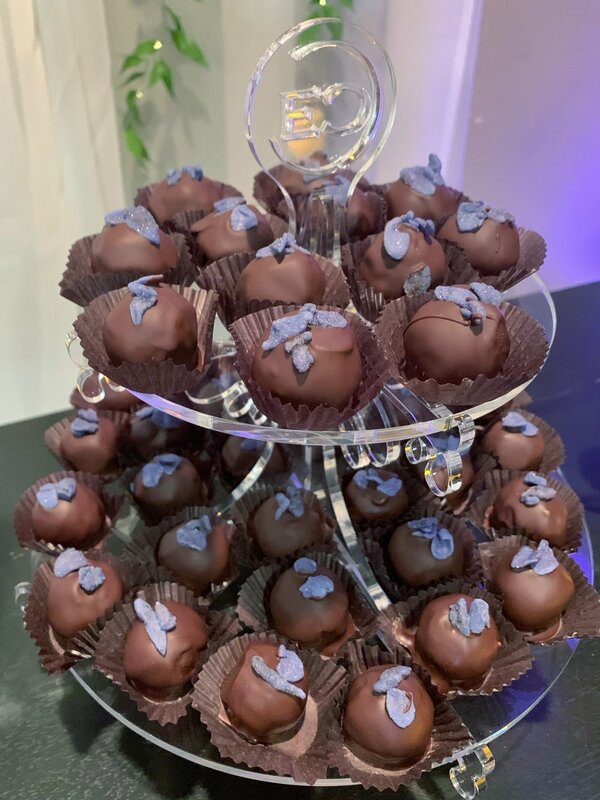 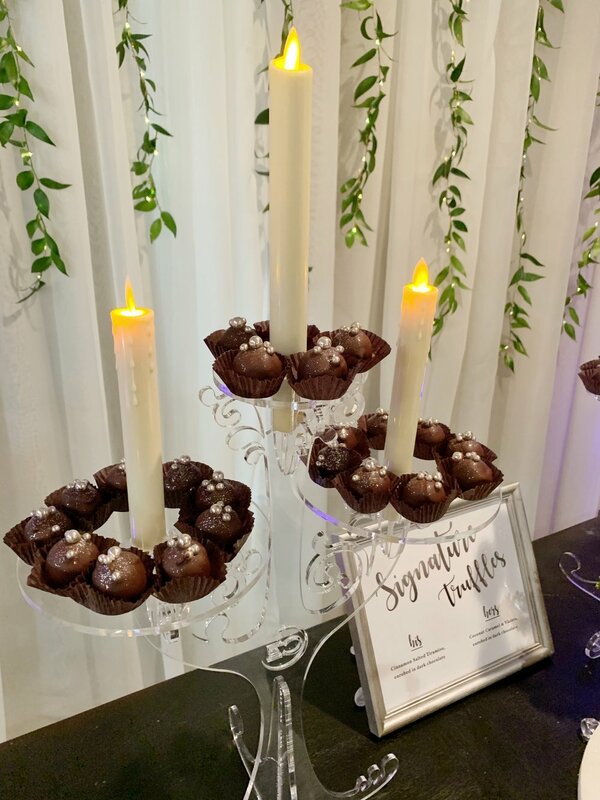 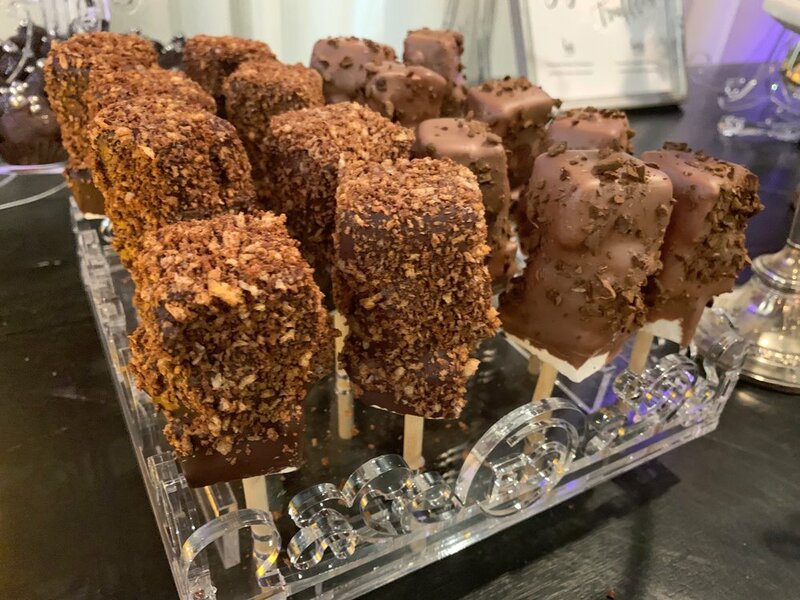 Featuring custom “his and hers” truffles, fresh strawberry donuts, gorgeous layered cake pops, & much more, their dessert bar was presented on personalized displays to catch the candlelight.